Carriage Kia of Woodstock GA, also serving Marietta and Kennesaw, is your local go-to location for new 2017 and 2018 Kia Sorento SUVs. Sorento is a value-packed crossover with luxurious interior, attractive looks and a terrific warranty. It’s available as a two-row, five-seat or three-row, seven-seat model with either forward- or all-wheel drive. Our Kia dealership has scores of new 2017 and 2018 Sorento models. The 2018 model received several upgrades, including standard power-folding side mirrors and hands-free power liftgate in EX models. The LX model now offers available Apple CarPlay, Android Auto and dual-zone climate control. Kia Sorento is available in your choice of three engines and seven trims. A six-speed automatic transmission is standard. The engine in the EX 2.0T is a 2.0-liter turbo-4 putting out 240 horsepower and 260 lb-ft of torque. Additional features include rear parking assist, a sliding, auto-folding second row, 50/50 folding third row, rear cross-traffic alert, blind spot detection, heated front seats, smart key with pushbutton start and more. The EX V6 has the 3.3-liter V6 engine as well as third row air conditioning with controls. SX features include 14-way power adjustable driver’s seat with memory, an Infinity 10-speaker surround sound audio, 8-inch touchscreen display with navigation and voice command, leather gearshift knob, and a 110V power inverter. 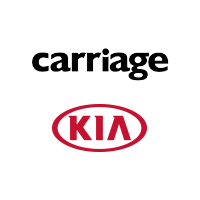 If you are looking to buy the best Kia models locally, Carriage Kia of Woodstock GA, also serving Marietta and Kennesaw, has got the Sorento, Forte, Optima, and all other models offered by Kia. Visit today and enjoy our attentive service that values your satisfaction above all else!